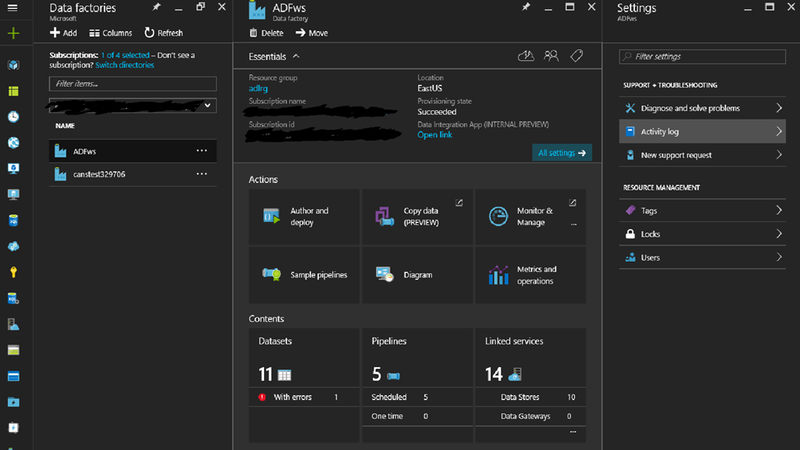 In the previous posts, I wrote about Azure Data Lake Store (ADLS) and Azure Data Lake Analytics (ADLA). To make you understand better, let’s say ADLS works as a SAN and ADLA works as compute (server with RAM and CPUs). They make a great server machine together. 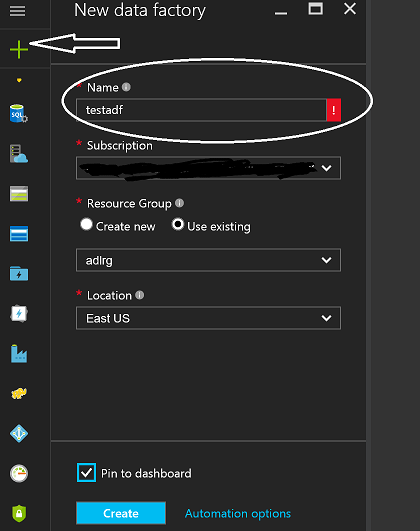 Now, what is Azure Data Factory ? Azure Data Factory(ADF) is a framework that’s used for data transformation on Azure. Like, we have SSIS service for On-premise SQL Server similarly, ADF is a transformation service for Azure data platform services – primarily. Let’s take the same example for perfmon analysis, we need to process the perfmon logs for 500,000 machines on daily basis. This is the dashboard which we will use to create the transformation using ADF. In the next post, I will write about how to create pipeline for transformation.